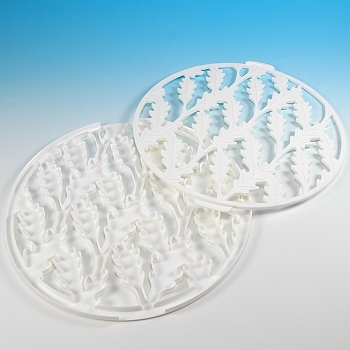 Lattice Dough Cutting Matrix, makes perfect lattice tops quickly and easily. Create perfect and beautiful lattice crusts for pies, tarts, Linzer torte and Dutch pastries. Two piece cutter, shock and scratch-proof. 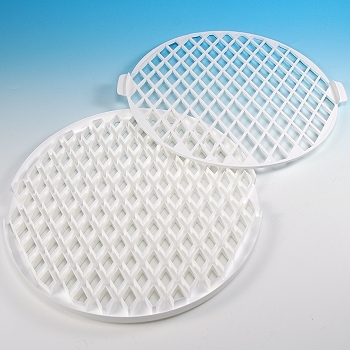 Place the Lattice Matrix unit flat with its cutting edges facing up. Lightly flour your work area and roll-out dough to a 1/8" thickness, 12" round. Transfer the dough so it rests evenly across the Lattice Matrix unit. Using a rolling pin apply slight pressure to cut the dough. Then simply lift-up on the plastic tabs, to reveal a perfectly uniform top crust. 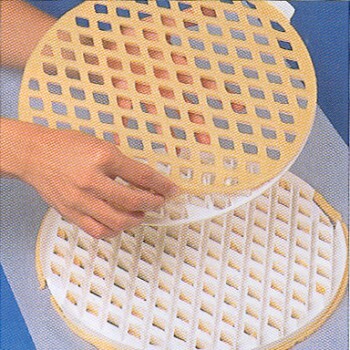 Transfer to the top of a filled pie or tart. Bake as directed.